Reports in England suggest heavyweights Manchester City are in talks with Indian Super League outfit Atletico de Kolkata with a view to buying a minority stake in the club. 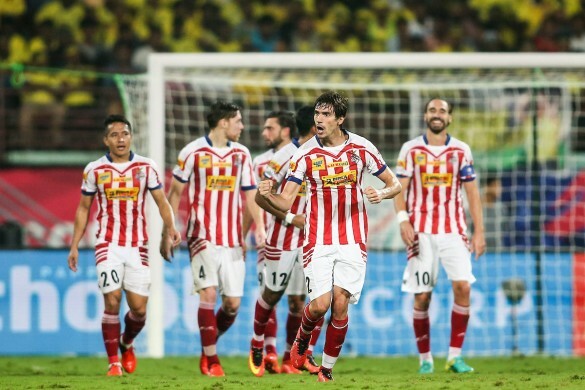 The current ISL champions are a sister-club of Spanish giants Atletico de Madrid but it is believed the Spaniards are now looking to sever ties with their Indian affiliate. It is understood Spanish chiefs have been at loggerheads with the ATK management with regard to some of the policies of the club and have decided to go their separate ways. Also Read: Retained list for ISL clubs revealed! Indian Super League champions Atletico de Kolkata are locked in talks with Manchester City regarding the sale of a minority stake. In contrast, the City Football Group (CFG) the holding company which owns Manchester City have been looking at overseas assets in order to expand their presence and promote the brand of the Citizens overseas. 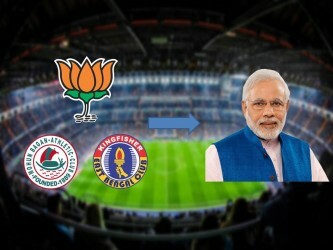 They have been watching the Indian market keenly since 2014 as part of their Asia strategy and were previously in negotiations with FC Goa. As two-time ISL champions ATK would be a perfect fit for City's ambitious Middle Eastern owners in what is a rapidly growing football market. As part of any partnership the Citizens' owners are likely to ask for a change in the club's home jersey colours in keeping with a more blue theme as well as a change in the club's name to Kolkata City FC. In any partnership CFG are keen to invest in infrastructure development, the youth team and brand-building. In what is a sign of how keen ATK themselves are to make a fresh start the Bengal Tigers are also said to be in discussions with Liverpool and Valencia. With the fourth season of the ISL looming ATK bosses are keen to resolve the issues surrounding the club's ownership as they plan for a longer season in what is a much-changed playing field with the entry of stiff competition in Bengaluru FC and the Tata Group.